Every mum dreams of being able to make her child's favourite birthday cake. Here is a fab local store that stocks everything you need to make that perfect cake! Looking for ideas or decorations for your child's birthday cake? �You've come to the right place! Would you like to make your child a home-made birthday cake....but perhaps feel a bit daunted if they ask for a train cake or a princess castle cake? If you'd like to create a home-made cake but need a little help, have a look through our site and you are sure to find some inspiration. We have a wide range of children's birthday cake decorations, plus a selection of novelty cake tins for hire on a collection-only basis, from our premises in Epsom, Surrey. 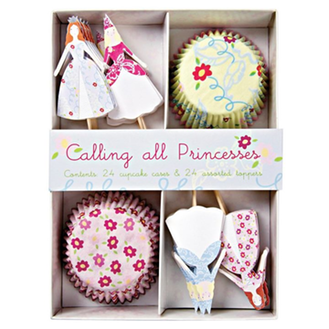 If you're making a boy's birthday cake there are decorations for pirate, dinosaur, football and digger birthday cakes; if it's a girl's birthday cake you're after, we have all you could want to make a butterfly, fairy, flower or princess cake. �For the really little ones we have a range of animal-themed decorations, plus items for that special first birthday cake! My Birthday Cake is offering Local Mums a 10% discount on all orders.